The record "Handle With Care" was one of the more enjoyable hit singles over the past couple decades. 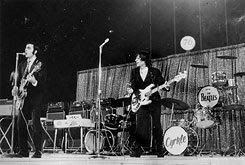 As you probably know, it was performed by a kind of loose supergroup of Beatle George, Jeff Lynn (mastermind of Beatlesque group ELO), Bob Dylan, Tom Petty and Roy Orbison. Roy died not long after the first record, which was a shame since he was on the comeback trail around that time (his hit "You Got It" produced by Jeff Lynne was fab). Of course now, George is gone too. But there's a release of some Wilbury stuff that's just happening. Read about it here. Narrows faves the Avett Brothers have a new record out. Read a review here. I Wanna Be Sedated--Joey Ramone Photos! Yesterday (Saturday) was the late Joey Ramone's birthday. And there was a birthday bash in the Big Apple! Came across this photo blog with some cool shots of the Ramone's lead singer as well as a poster of the event, which had the New York Dolls as headliners. Ga Ba Ga Ba Hey! 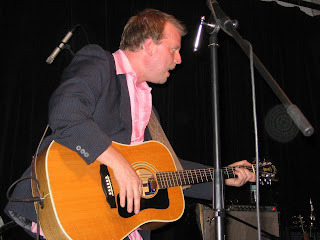 It was a night of powerhouse songwriters at the Narrows on Saturday night. But headliner Kris Delmhorst showed that not only is she an imaginative tune weaver, she's one of the best vocalists you'll hear anywhere. 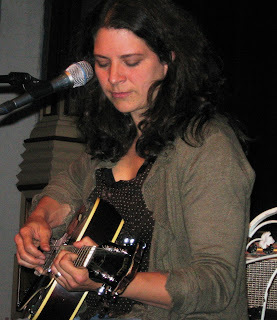 Kris, who lives in Western Massachusetts these days, has been playing the Narrows on a fairly regular basis over the past five years, and we hope she'll be stopping by for at least another five. 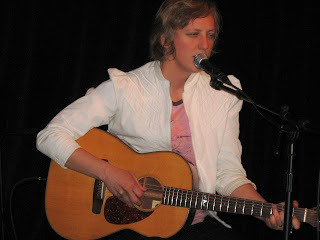 Narrows newcomer Ana Egge (below) opened the night with warmth and an enjoyable set of songs. She had to split before the evening ended because she had to drive to New York. Ah, the life of a musician! Inauthenticity makes great popular music, so says a new book. And Leadbelly knew how to fake it. 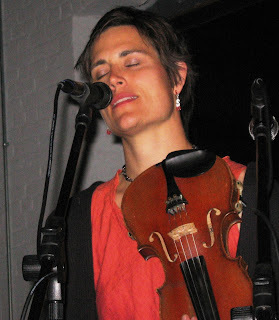 Rani Arbo and Daisy Mayhem brought their fun-loving string band sound to the Narrows for the first time in a long while on Friday night. 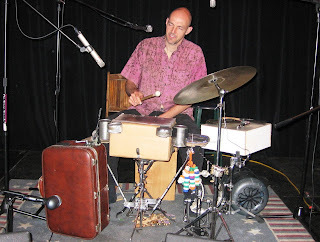 What can you say about a group whose drummer keeps the beat with things like a suitcase, a box and other non-musical items? But it's more than an interesting visual. On stage it adds the right sound to the ensemble. One of the guys who started rock 'n' roll is in rough shape. Our buddies The Slip--another official Narrows' discovery--play live Thursday night on MTV Canada. It's to promote the Canadian release of their latest studio album EISENHOWER. Congrats to the guys! Watch out for the polar bears up there! Paul McCartney's Latest "Pretty Great"
Rolling Stone has weighed in on Paul McCartney's latest, being released June 5. It's called "Memory Almost Full." Read their thoughts here. 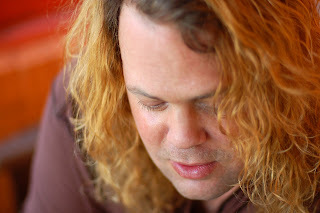 --Anybody have any photos from our Dar Williams show? Your humble blogger was out of town that night (hey, sometimes even I have a life). If you have some and it's okay to put on this blog, please email me at slouishug@comcast.net. --Some artists of interest releasing CDs this week: Louden Wainwright III (coming to the Narrows! ); and the Avett Brothers, who have played the Narrows. Click here for others. --Our faves from New Bedford, Shipyard Wreck, have a Fox 25 performance from October on YouTube. Nice camera work by the crew up there in Boston. See it here. --Paul McCartney recently got a mandolin. Read more. Barry & The Remains, that legendary Boston band that toured with the Beatles in 1966, is re-releasing its sole album. As you may or may not know, "Barry" is Barry Tashian, who backed Emmylou Harris for years. He also hung out with Narrows patron saint Gram Parsons. Would anybody come to the show if we booked Barry & The Remains? Anyway, the Boston Globe has a neat write-up. Paul Rishell and Annie Raines hadn't played the Narrows since January, 2006, so there was some catchin' up to do when they hit the stage Saturday night. First of all, they got married! Then, they moved into her parents' house--"But they aren't there," noted Paul. But--wait this is a music blog. Their first set was just Paul and Annie, playing the acoustic blues. Paul showed his expert finger stylin' and even Annie, playing what appeared to be a mandolin, showed that she's been working on pickin' and grinnin' in addition to her harmonica duties. The second set had 'em playing the Chicago blues, backed by a drummer, bass player and another guitarist. 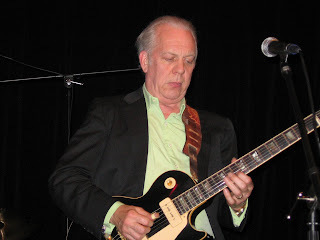 This "first couple of the blues" was one of the first acts to play the Narrows way back when. Nice to have them drop by again! Big write up about Wilco in the latest Providence Phoenix. Wilco Streaming Live/Does Anybody Care? 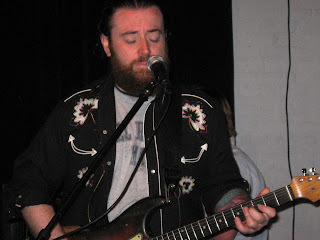 Don't know if we have any Wilco fans around here (when the Narrows had a couple concerts with former Wilco mover-and-shaker Jay Bennett (photo) hardly anybody showed), but if there are they might want to listen to their soon-to-be-released CD. It's streaming live right here. Is Wilco only a Midwest fave? Inquiring minds want to know. Stumbled across some short book reviews you might find interesting. Books are about Sister Rosetta Tharpe, whose music the Narrows celebrated with a special concert a couple years back; Townes Van Zandt; Jimmy Page; rockabilly; and other subjects. Texan Jimmy LaFave, who has played the Narrows a time or two, has a brand new CD out. He's currently not on the Narrows' schedule in 2007. Eilen Jewell Has New Record Out? 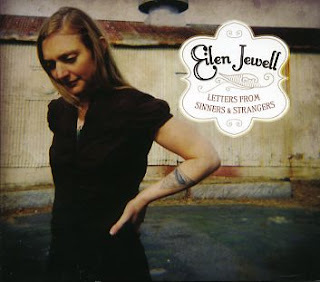 One of our discoveries, Eilen Jewell, returning to the Narrows in June, apparently has a new CD out or coming out. Difficult to tell from her record company's home page. They're still promoting the first one, Boundary County. Huh? What's up with that? Anyway, here's a review we found while perusing Eilen's home page. See the review here. 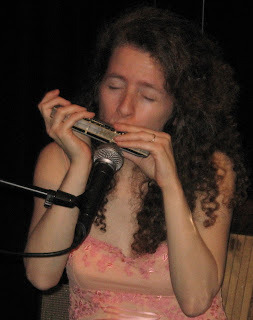 Sarah Borges' soon-to-be-released CD "Diamonds in the Dark" is already making waves in radio across the country. Sarah's having her hometown record release party at the Narrows in June. Tickets are available by visiting www.ncfta.org. New Orleans comes to the Narrows once again via "PBS" and their funky sound. These guys have been part of the Funky Meters, and each band member has a resume that reads like Who's Who: They've worked with Dr. John, Paul McCartney, Robbie Robertson, Robert Palmer, the Neville Brothers etc. http://www.porterbatistestoltz.com/. 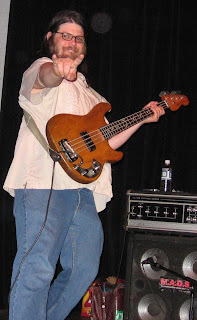 Sugar Ray Norcia was the front dude for Roomful of Blues in the early to mid-1990s, also playing harp and writing tunes. So you got the drift. The "Bluetones Big Band" consists of members of the Bluetones plus piano and horns--making sounds great to swing dance to. We're talking jump blues with a solid down beat, baby. http://www.sugarrayandthebluetones.com/. Kind of an Australian/British Invasion in the folkie/americana music scene, as this trio brings America's own music to our shores and makes it their own. Huh? Anyway, they've toured with Bob Dylan and Willie Nelson and have been creating quite a buzzzz. They're hot, baby! http://www.thegreencards.com/. Horns Up For The Drunk Stuntmen!! Western Mass. road warriors the Drunk Stuntmen brought a different look (well, Steve the frontman got a haircut and shaved his beard) and a leaner sound to the Narrows Friday night. Instead of a 3 guitar attack, they are down to two, with a bass, keyboards and drum. Chief lead singer Steve Sanderson (the guy with the haircut) seemed to be playing more lead guitar noodles, showing that he's able to step in and fill the void. The Stuntmen also exhibited more jam band characteristics, even venturing into a bit of space jazz with a whiff of metal. Friday night the Narrows hosts one of our faves, the Drunk Stuntmen, who'll be playing their wild and fun-loving version of southern rock & country. Tickets are still available. The Projo's Rick Massimo did an article in today's paper. See it by clicking here.